Roath Cardiff > Posts > Arts & Culture > Exhibition: Fimbulwinter at Cardiff M.A.D.E. 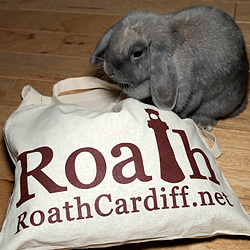 Thanks to Zoë Gingell of Cardiff M.A.D.E. for this post. Six months after first appearing in Oriel Mwldan, Fitzjohn has brought this work to Cardiff, readapted and represented with extraordinary vision – to a quiet residential corner of the city. One year on, Made is building on from the legacy of Milkwood Gallery and Made in Roath annual arts festival – showing established names as well as breaking emerging artists to the public in a quiet residential corner of the city. A paper-cut installation drawing on apocalyptic Norse mythology, reflecting upon the fluid and changeable state of our reality and the cyclical order of destruction and rebirth embedded in our landscape. In recent work Fitzjohn has used imagery of wilderness and woodland as a metaphor for both a lost ideal (Elysium) and a hoped for future, in order to explore his concerns regarding climate issues and economic imperialism. Fimbulwinter has extended and developed these themes. This installation has evolved over five years. While its essence remains intact its physical state, like the changing landscape, has morphed with every site-specific experience. Initially conceived as a response to landscape generally, since his relocation to Wales Fitzjohn has become more particularly concerned with the mythic and timeless character of the Welsh landscape. This experience has reinforced his environmental concerns, but also awakened a deeper feeling for the ancient rhythms of nature that remind us of the fluid and changeable state of our reality and the cyclical order of destruction and rebirth embedded in our landscape. The title Fimbulwinter is taken from Norse mythology, a period of three successive winters without any intervening summer, an environmental disaster that is the prelude to Ragnarok, the end of the world. 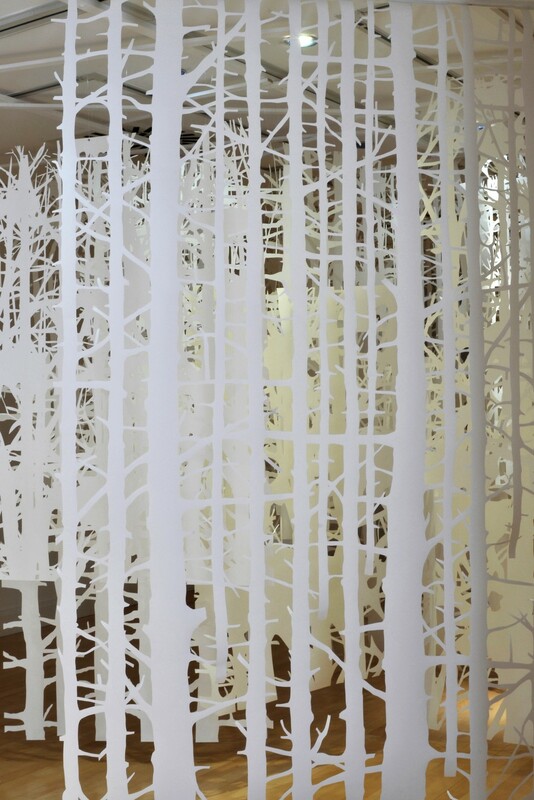 While the world may not be ending, it is changing and Fitzjohn’s paper-cut is a response to this; his imagining of the end of things as they are, the mutability and adaptability of nature and the hope embedded in possible futures. David Fitzjohn is a graduate of the Royal College of Art and was the Abbey Scholar in Painting at the British School at Rome in 1996. He has exhibited in Britain and Europe and his work is held in private collections in both London and Paris. He currently lives and works in Wales where he is Programme Director of Fine Art at Cardiff School of Art and Design.